Bhutan shrouded behind the mystical aura and legends is the last Himalayan Kingdom. There are lot of places to visit in Bhutan. In Bhutan Holiday's 6 Nights and 7 Days Breathtaking Bhutan Tour Package. Get the zest of indigenous culture of Bhutan during your Bhutan Holidays. 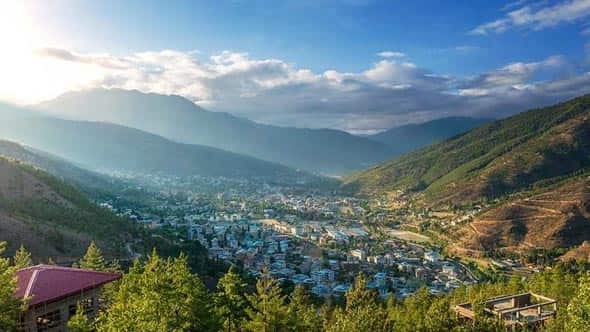 You will experience extraordinary journey of exploring the capital city of Thimpu, former capital Punakha, Punakha dzong and ancient town of Paro. You will also experience breathtaking and mesmerising view of Dochula pass, Chelela pass and Haa valley. Get the flavour of indigenous culture and cuisine of Bhutan during your Bhutan Holidays. We will take you to Thimphu, the capital city of Bhutan. Here we will visit the grandiose Trashichhoe Dzong, National Textile Museum, Memorial Chorten and witness the tallest statue of Sakyamuni Buddha above Kuensal Phodrang Nature Park. Later you will be transferred to Punakha en route Dochula pass. The most beautiful place in Bhutan is Punakha. In Punakha you will visit Punakha Dzong and Druk Wangyal Lhakhang. The regal town of Paro is best known for the Cliffside Monastery Taktsang also known as the Tiger's Nest. From Paro we will take you to Haa valley en route Chelela pass. 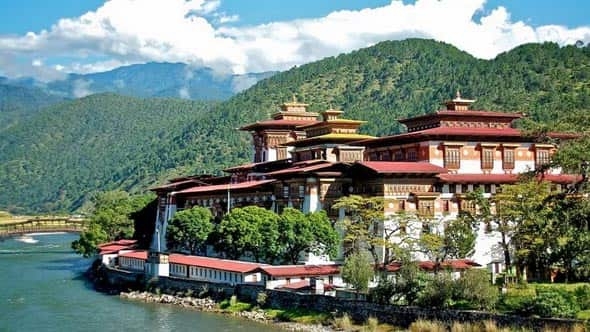 All these destinations and activities in our 6 Nights 7 Days Bhutan Holiday's Tour Package are carefully selected by Bhutan Holiday's experts to let you get the best of Bhutan in 7 Days. On arrival at Hasimara you will be greeted by our officials and then we will take you to Phuentsholing for Inner Line Permit. Then we will proceed for Thimphu. It is a 5-6 hours drive with breathtaking passing views of rolling hills and serene nature. We will have our lunch in between our journey. After reaching Thimphu check in your hotel and freshen up. You are free for the evening. You may take rest or else can take a stroll in the market area of Thimphu and can experience the taste of Bhutanese cuisine. Overnight stay at Thimphu. Bhutan Tour Package Special Tips - About Takin: Takin is a rare animal. Takin's head mirrors with a mountain goat and body of a cow. Takin was announced national animal of Bhutan on 25th November 2005. The legend behind this is an interesting one. In 15th century a Tibetan saint Drukpa Kunley popularly recognized as "The Divine Madman" is credited in creating this mystical animal. The Divine Madman was not only a religious preachers but he was also a proficient tantric. As per the legend, few Bhutanese people requested Drukpa Kunley during one of his religious lecture to do a miracle before them. The Divine Madman agreed to do so provided he was fed for the lunch a whole cow and a whole goat. Once the lunch was served, he devoured both the animals leaving only the bones. It is said then The Divine Madman took the head of the goat and fixed it in the skeleton of cow while uttering some mantra and right before the eyes of the bystander the mystical animal Takin was created. Till date Takin resides the hill side of Bhutan. Due to this magical creation with high religious connotation, Takin has been adopted as the national animal of Bhutan. After breakfast checkout from the hotel and start your 4-5 hours journey to your hotel in Punakha. 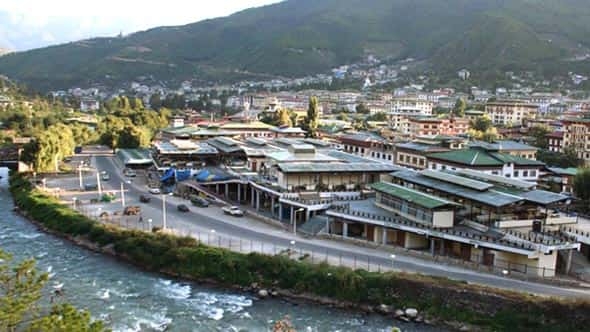 Punakha is the first capital of Bhutan. Punakha is best known for its fertility temple of Chimi Lhakhang. This place is entitled as the most pictorial town of Bhutan. After covering 30 km stop at Dochula Pass to enjoy the panoramic view of Great Himalayas while being engulfed by the cool breezes. It is also the best way to start your journey towards Punakha. Have your lunch on the way to Punakha. Reach Punakha after covering approx 88 km and check into your hotel. After freshening up, you are free for the rest of the day to relax and enjoy the scenic beauty of Punakha. Overnight stay at Punakha. Have your breakfast early and then we will checkout from the hotel of Punakha. Our first destination is Punakha Dzong. Punakha situated at an altitude of 3937 ft is a historic town of Bhutan along the banks of Pho Chhu and Mo Chhu. You will be visiting Pungtang Dewa Chhenbi Phodrang commonly known as Punakha Dzong. Built in 1637-38 Punakha Dzong is also the 2nd oldest and 2nd largest Dzong in Bhutan. Overlooking the scenic gorge, Punakha Dzong with its grandiose structure has been a must visit places in Punakha Valley. Then we will be visiting Druk Wangyal Lhakhang. A temple known as the Druk Wangyal Lhakhang, with the backdrop of "pristine" forest of the snow covered Himalayan Mountains, was initiated and completed in June 2008. This was built as a memorial to celebrate 100 years of monarchy in Bhutan. After having your lunch you will proceed for Paro. You have to cover 127 km in almost 4 hours. Check in to your hotel at Paro and freshen up. You can either take rest or can stroll around to get acquainted with Paro. Overnight stay at Paro. Complete your breakfast at the earliest and then you will start your Paro sightseeing. Paro is situated on the river banks of Mo Chhu and Pa Chhu. 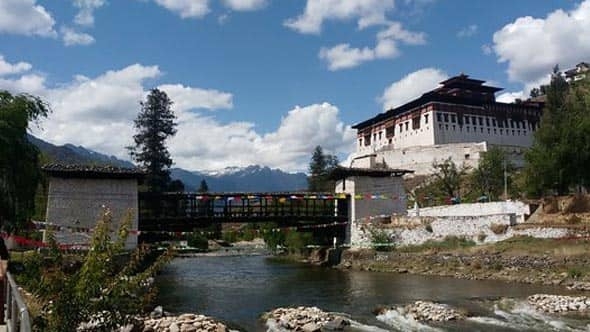 Paro is a scenically blessed town of Bhutan with many historical significant sites. Your first destination Taktsang Monastery is the most prominent attraction of Paro. It is a monastery built on the cliff. It takes two hour trek to reach Taktsang Monastery. You can either trek or ride on a pony. From Taktsang Monastery you will get the most outstanding view of Paro valley. Next we will take you to National Museum of Bhutan which is located in the Conch shaped building of Ta Dzong. Here, you can observe artefacts dating back to 2nd century and get an insight about the early Bhutanese era. After lunch we will drive you to Paro Dzong. Known as the Fortress on a Heap of Jewel, Paro Dzong is listed under the tentative sites of UNESCO. You can only walk in the courtyard of the Dzong since the main sanctum housing the Thondrol of Guru Rinpoche only opens during the annual Tsechu. After admiring the beauty of the purple jacaranda trees and shimmering water of Po Chhu and Mo Chhu return to your hotel. Overnight stay at Paro. 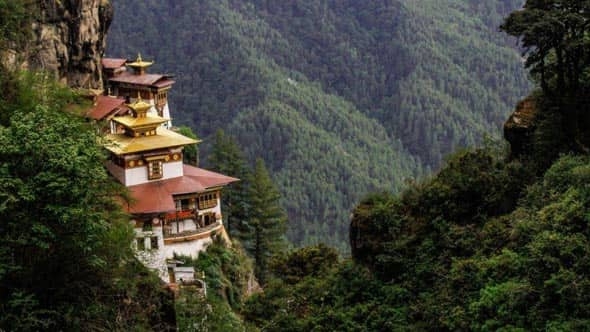 Bhutan Tour Package Special Tips - About Taktsang Monastery: Taktsang Palpung Monastery is also famously known as the Tiger's nest. This is a prominent sacred Buddhist site of Bhutan. 'Taktsang' is spelled in Tibetan as 'Stag Tshang' that means a "Tiger's Nest" or a "Tiger's Lair". According to a legend former wife of an emperor, known as Yeshe Tsogyal, willingly became a disciple of Guru Rinpoche (Padmasambahva) in Tibet. She transformed herself into a tigress to carry the Guru on her back from Tibet Taktsang in Bhutan. In one of the caves here, the Guru then performed meditation. As per this legend the place came to be known as the "Tiger's Nest"
Bhutan Tour Package Special Tips - About Haa: Haa Valley is also sometime known as Hidden-Land of Rice in Bhutan. Surrounded by the beautiful forest area and harbouring untainted air. 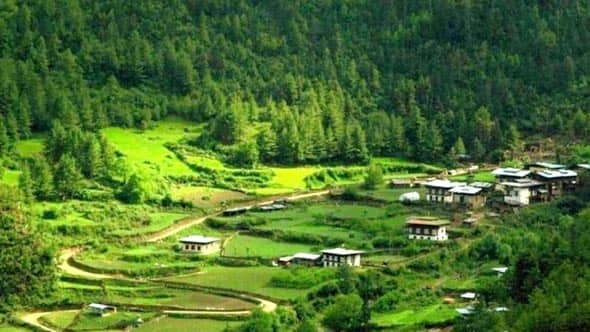 Haa Valley has become a paradise for hikers and trekkers visiting Bhutan. In ancient Pre-Buddhist era Haa Valley was known for its animalistic tradition. The residents then were enthused in offering animal blood to their local deities. However, in 8th Century, the gruesome animalistic belief were changed into more peaceful tradition when the tantric master, Guru Padma Sambhaba subdued the local deities like Ap Chundu and made them the guardians of the Buddhist tradition in Haa Valley. After an early morning breakfast, let us bid goodbye to Paro and proceed to Hasimara. 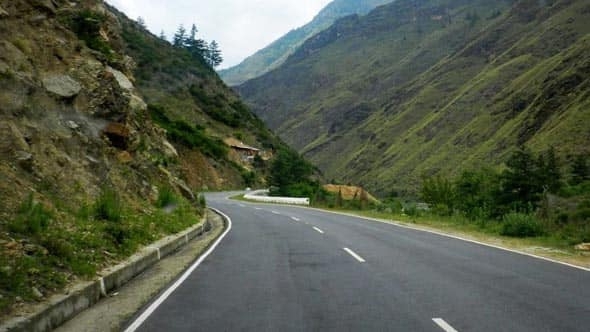 It is an overall 6 hours journey from Paro to Hasimara. Relish the beauty of the journey while bidding farewell to the mystical land of Bhutan. After covering the distance of 179 km you will reach Hasimara Railway Station and your 6 Nights and 7 Days Bhutan Holiday's Tour Package will come to an end. Pick up & Drop Ex - Hasimara/NJP/Bagdogra. Reserved vehicle for transfer & sightseeing.